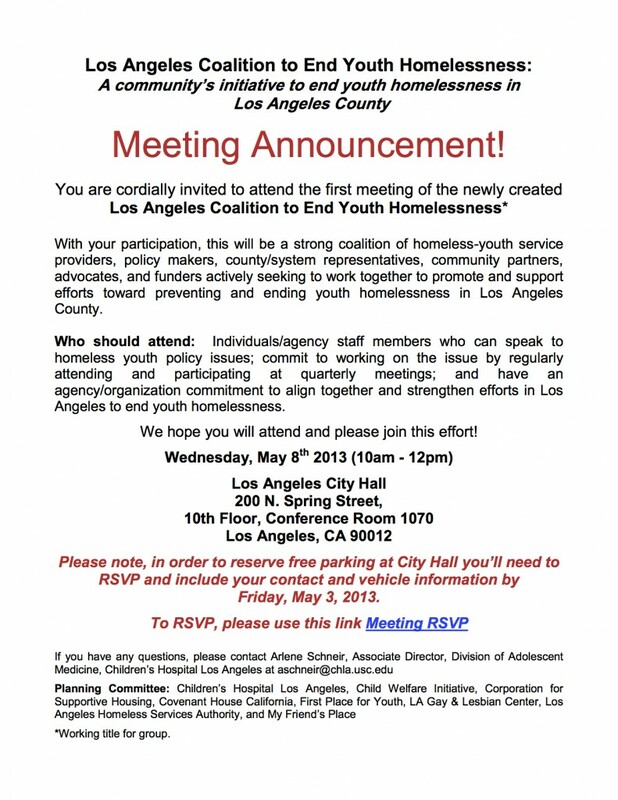 On May 8, 2013 the first meeting of the Los Angeles Coalition to End Youth Homelessness was held at Los Angeles City Hall. 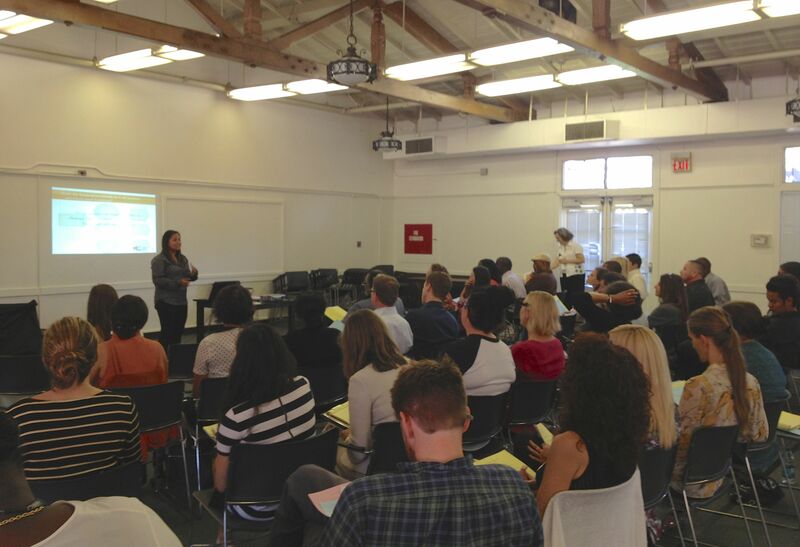 The meeting was organized by Children’s Hospital Los Angeles, Child Welfare Institute, Corporation for Supportive Housing, Covenant House California, First Place for Youth, HHYP, LA Gay & Lesbian Center, Los Angeles Homeless Services Authority, and My Friend’s Place. To RSVP for the event below, please click on this link. 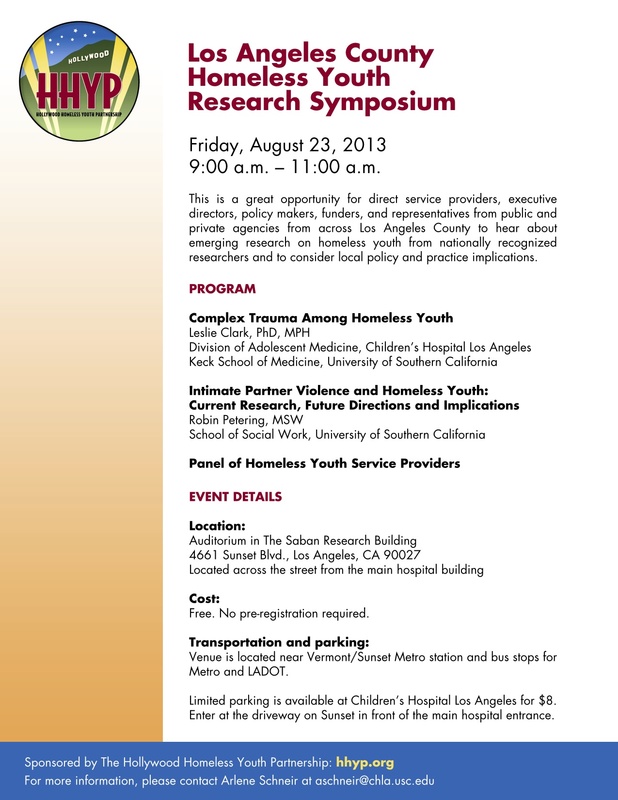 The Hollywood Homeless Youth Partnership hosted a Research Symposium on April 9, 2013 at the Saban Research Auditorium, Children’s Hospital Los Angeles. 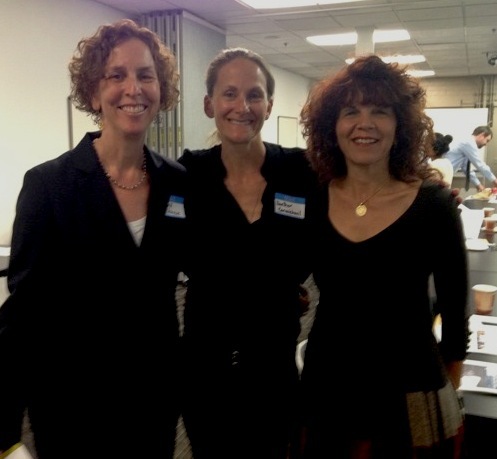 Close to 100 people attended which included a cross section of service providers, community partners, funders, and system representatives. 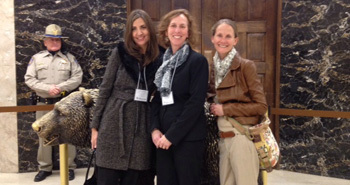 HHYP Co-Chairs, Arlene Schneir and Heather Carmichael with Philanthropist and Producer, Diana Buckhantz. 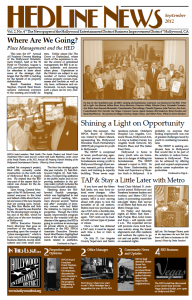 HHYP is featured in the Hollywood Entertainment Business Improvement District Newsletter for youth job program. Arlene Schneir (LA Children’s Hospital), Rachel Romanski (Hollywood Arts), and Meera Manek (HHYP) attended the California Coalition for Youth Conference, April 15-17. 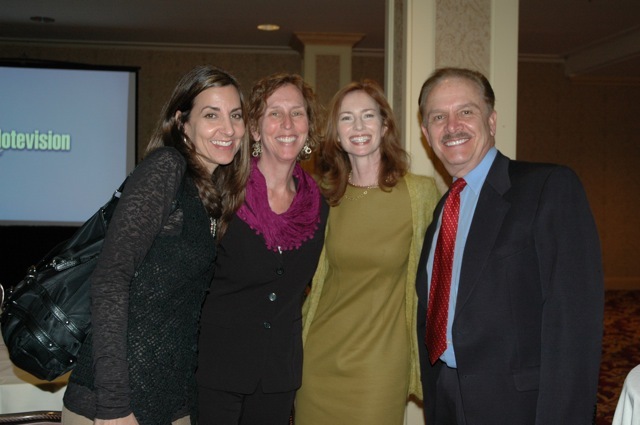 The conference programming focused on legislative trainings, youth advocacy and leadership workshops, and panel discussions related to the continuum of care. Advocating on behalf of the HHYP and youth, Meera Manek lead legislative office visits with Assemblymembers Mike Gatto, Mike Feuer, and Steven Bradford as well as Senators Carol Liu and Kevin De Leon to promote AB 2547, a bill that would create the state Office of the Homeless Youth Advocate. 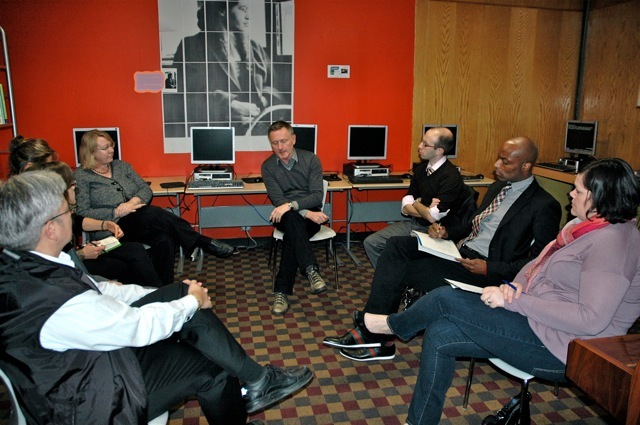 National and Statewide agencies visit the HHYP. visible from Left to Right – Jennifer Ho (US Interagency Council on Homelessness), Ginny Puddefoot, (California Research Bureau), Simon Costello (LA Gay and Lesbian Center), Jason Kravitz (US Interagency Council on Homelessness), Andre Wade (National Alliance to End Homelessness), and Heather Dearing (California Coalition for Youth). 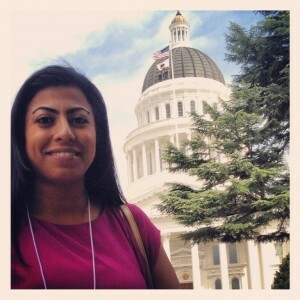 This year HHYP participated in the California Coalition for Youth’s Board & Executive Lobby Day on Monday, January 23rd. The purpose of the trip was to educate legislators and other policymakers about California’s transition-age youth population and the challenges they face in today’s socioeconomic environment. Heather Carmichael, Sylvia La Malfa, and Arlene Schneir met directly with Assemblyman Michael Feuer and Senator Curren Price, Jr, and met with aides from Assemblyman Steven Bradford’s office, Assemblyman Gilbert Cedillo’s office, and Senator Kevin DeLeon’s office. 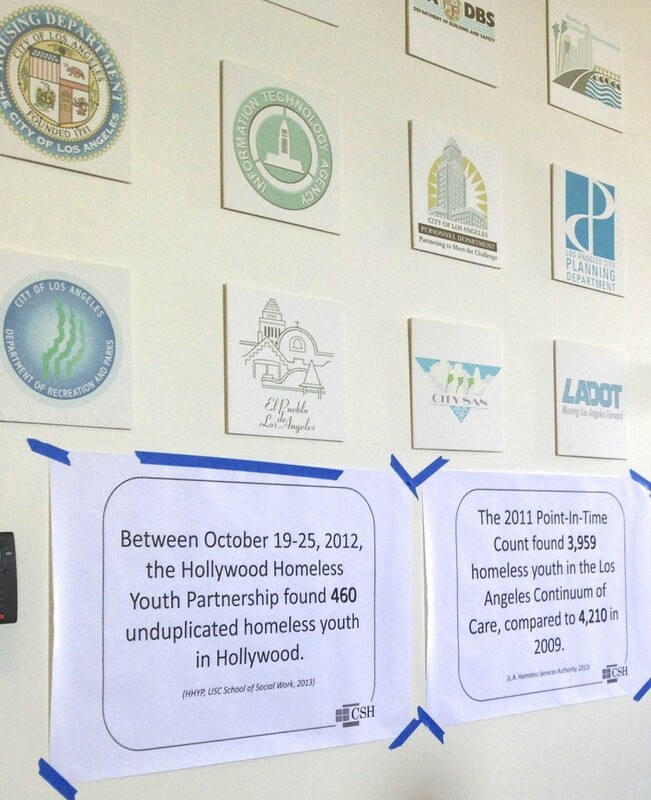 The HHYP delegation took this opportunity to educate these leaders about the HHYP and homeless youth in Hollywood and to distribute copies of the “No Way Home”report. We also invited our representatives to come visit our agencies when they are in their districts.